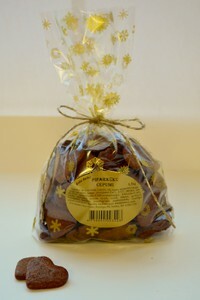 Rye flour gingerbread is very tasty and Christmasy snack. 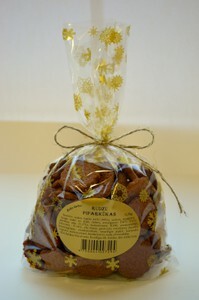 It is made by using only rye flour in dough, that is why it isn't like ordinary gingerbread. This is our traditional approach to Christmas gingerbread. 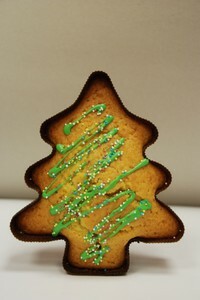 Cookies, made with Christmas spices, are extremely tasty and brings Christmas right into Your mouth! 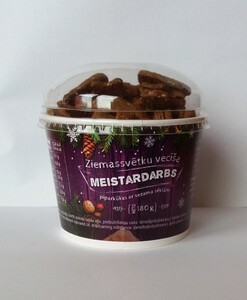 In case You want to taste something very different according gingerbread, You have to try gingerbread with sesame seeds. It is love at first bite! Here is perfect small gift for Your friends! Christmas time is time, when people visit friends and family members more often. Christmas cake is excellent solution, if You want to surprise Your friends with something sweet!